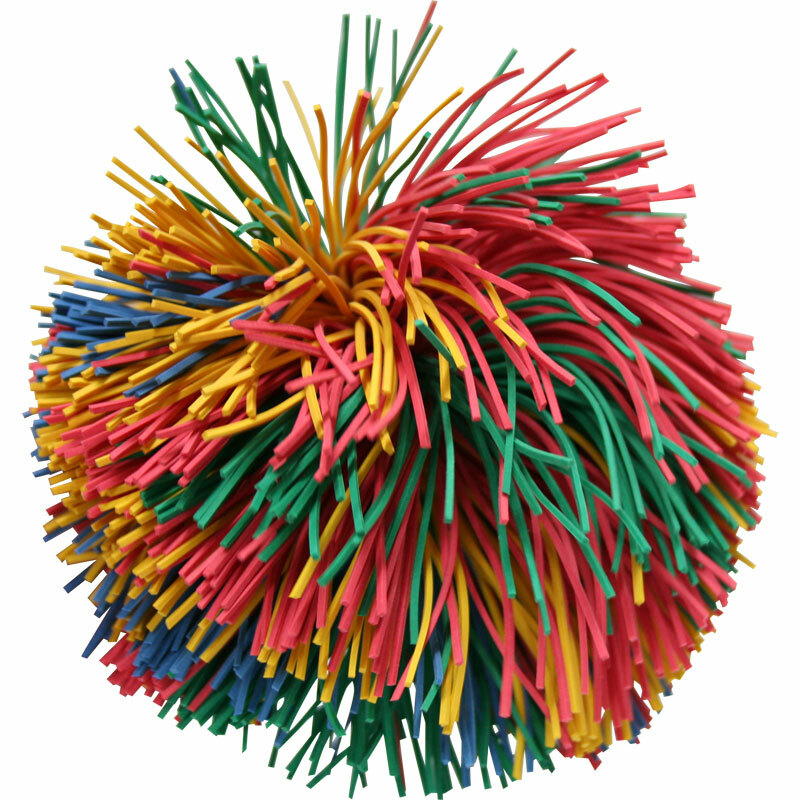 Pom Pom Balls have entertained people of all ages with it's amazing versitility and tactile feel, but was actually invented to teach young children how to catch. Small children's hands can't easily grasp Original Koosh Balls so Koosh makes catching easier for small fingers. Easy to catch-hard to put down! Soft and safe. Manufactured from natural rubber, washable in soap and water.